Each distiller produced by Pure & Secure, LLC must meet our high quality standards. 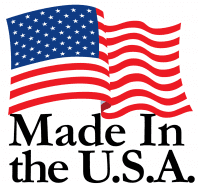 For this reason, they are produced here in the heart of the USA where we can maintain strict oversight throughout the entire production process. Each distiller has a checklist assigned to it’s unique serial number and this checklist is updated throughout manufacture and assembly. Then we have an outside third-party quality assurance service come to inspect every unit produced that day. Once it passes inspection, every distiller undergoes a complete testing cycle and an evaluation of its operating performance. It is this attention to detail that gives us peace of mind that each distiller that leaves our plant is in perfect operating condition when it is placed into the carton to be shipped to our valued customers. We appreciate your business. If for some reason, you are not satisfied with your purchase, we're here to help! Returns: You have 30 calendar days to return an item from the date of purchase. To be eligible for a return, your item must be in new condition and purchased directly from the Pure & Secure factory. We will not accept returns from internet resellers or dealers of our products. Please contact them directly to initiate a return. Refunds: Once we receive your item, we will inspect it and notify you that we have received your returned item. If your return is approved, we will initiate a refund via the original method of payment less a 15% restocking fee. Shipping: You will be responsible for paying for your own shipping costs for returning your item. Shipping costs are nonrefundable. Contact Us: If you have any questions on how to return your item, please feel free to contact our Customer Service Department at 1-800-875-5915 or 402-467-9300.